Photography Studio & Artisan Craft Gallery at 586 Main St., Harwich Port, MA. Featuring the work of Rebecca Sher, Kathy Norgeot Smith, Elizabeth Boehm, Patricia Marti, and Paula Brody. The Playhouse attracts over 21,000 people each year with its lively drama and entertainment. The Playhouse produces more than 12 shows a year, including musicals, dramas, comedies and original works. In addition, creative music series, benefit performances and faculty performances are all presented at the Playhouse throughout the year to packed audiences. Well-known theater directors, music directors, set design artists, and costume designers all come to the Playhouse to collaborate with Cape artists, under the artistic direction of Peter Earle. 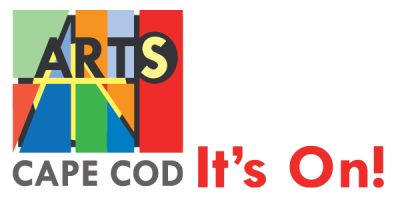 The Guild of Harwich Artists, Inc. is a non-profit 501(c)3 organization of Harwich residents who share an interest in visual art and the desire to create. Established in 1979, we have maintained an active summer schedule of shows and events. We manage our own year-round Art Gallery in Harwich Port, and when weather permits, get together in warm weather for plein air painting sessions. During the colder months, some members will teach painting classes, others will attend the all Guild ?Thursday Painting Sessions,? and most will attend the monthly meetings where we host a well known Cape artist or artisan who demonstrates their individual style of art. We are active in the Harwich Community, supporting a variety of charitable and educational organizations, as well as sharing our talents working with students in the Harwich School System. All of our programs are free and open to the public. The mission of the Chatham Historical Society is to inform and educate present and future generations about the history and culture of Chatham and vicinity by collecting and preserving records of earlier generations and by exhibiting and interpreting art, artifacts, archives and places of historical interest. For many years our name alone has confused and surprised many. Let us assure you that we are NOT a 'comedy club' in the sense that we are a stand-up club or a venue for similar performances. We are a community theater, with a big emphasis on the word 'community.' Every one is welcome at The BCC! In general we perform four main productions per season, as well as other special events such as The Annual Barnstable Village Holiday Stroll, staged readings, and acting and directing workshops. As the oldest living community theater on Cape Cod, we strive to bring excellence to all of our patrons, volunteers, members, and community. Barnstable High School is one of Massachusetts' premier, comprehensive, fully-public high schools. We proudly serve the seven villages of Barnstable and school choice students from the Cape Cod and southeastern Massachusetts regions. Barnstable Performing Arts Center (BPAC) is a 1,400-seat hall. It is climate-controlled and offers a variety of seating options and excellent sight lines. It's history revisited in the Barnstable Village Cultural District, a charming seaside village on the north side of Barnstable. A balance between colonial history and 21st century flair, the district is filled with historical buildings, quaint shops, working artist studios and galleries, locally-owned shops, musical and theater groups, and restaurants. The district is steps away from Barnstable Harbor, a spectacular backdrop with its working waterfront and panoramic views of Sandy Neck Beach and Lighthouse. From its quaint downtown to active harbor, the energy and excitement in the village is palpable year round. Visitors can learn about the harbor and beaches on an eco-tour or whale watcher tour where spotting whales along with seals and dolphins is always a treat. Step back in time on a self-guided walking tour of sea captain and patriot homes from the 1600's; meet Smithy, a working blacksmith who will share stories about the inmates at the old jail and U.S. Customs House, now home to the U.S. Coast Guard Heritage Museum. Take a guided nighttime ghost walk through the centuries-old graveyard if you dare, led by storytellers from Tales of Cape Cod; or find your genealogical history with archives dating back to colonial times at Sturgis Library, the oldest library building in the United States. A historic village with modern twist, there is plenty to do in the Barnstable Village Cultural District from community theater at Barnstable Comedy Club, outdoor concerts, lectures and gallery tours; chatting with the local potter while he creates right before your eyes, or taking part in one of several festivals. Throughout the year the district provides a full day of arts and cultural attractions, experiences, and memories. Berta Walker Gallery has been highlighting the rich cultural heritage of Provincetown's more than 100-year old art colony for 24 years, and is known for showing a wide variety of important Provincetown-affiliated art and artists. Bourne High School’s Mission is to provide a safe and academically rigorous learning community that fosters both personal and social growth for all. We provide a diverse academic program that prepares students for post – secondary education, the 21st Century global workforce, and responsible citizenship. Our passion is to serve our clients along with a commitment to foster an environment where inspiration can flourish. Genres include portrait, figure, landscape, still life, sculpture, realism and encaustic works, in diversified forms of visual expression. The Brewster Ladies? Library is a private institution which serves as the free public library for the Town of Brewster. It is managed by a Board of Directors elected by the membership of the Brewster Ladies? Library Association. The Library?s mission is to be a cultural and life-long learning community center that provides free access to a range of resources, activities and professional assistance to further enhance the quality of life. The Library has been serving its community since 1852. Sidney Brooks was born in Harwich in 1813. He was educated at Phillips Academy in Andover, and went to Amherst College in Amherst, Massachusetts. After graduation, he taught at Chatham Academy. In 1843 he began plans to establish a private academy in Harwich. There was no public higher education beyond the elementary level in place at that time. The school was to be built in a pine grove opposite the First Congregational Church. The architect for the project was Sidney’s cousin, Luther Gifford. The plan was for a restrained and elegant Doric-style Greek revival building. After teaching all day in Chatham, Sidney worked, mostly by moonlight, laying out the grounds and walkways and selecting the trees to be removed. The ceremony laying the cornerstone for Pine Grove Seminary was held August 3, 1844. In the cornerstone, under the northeast corner, was deposited a glass jar containing the names of the building committee, copies of Cape and Boston newspapers, and a list of the original subscribers. Subscribers each had bought shares in the school to finance its construction. In June 1930, just three years after successfully launching the Cape Playhouse, young Raymond Moore opened the Cape Cinema, "a new miniature talking picture theater deluxe." Designed by Alfred Easton Poor (Wright Brother's Monument), who modeled the building?s fa?ade on the Congregational Church in Centerville, Mass., the cinema?s colonial exterior housed an Art Deco-inspired auditorium containing 300 individual arm chairs of black lacquer and tangerine suede, purchased from the Frankl Gallery in New York. The Cinema's crowning glory, however, was the mammoth 6,400 square foot mural vaulting its curved ceiling. Moore choose Rockwell Kent, one of America's most original and controversial artists, to design and execute this masterpiece. Money to pay for this treasure came from Mrs. Edna B. Tweedy, a wealthy widow who was Moore's behind-the-scenes benefactor before their secret marriage in 1935. Kent and a young assistant, Ellen Goldsborough, did the overall design and detailed drawings at his studio in Ausable Forks, New York. Painting and installation was performed by Jo Mielziner, an outstanding scenic artist of the era. While Kent had vowed never to step foot in Massachusetts after the 1927 Sacco and Vanzetti trials, he did attend the opening of the cinema and was photographed signing the mural. The mural portrays a modernistic concept of the heavens in shades of blue, gold and orange. Comets, galaxies and constellations are portrayed alongside pairs of embracing lovers and free-flying individuals who float through the imaginative firmament. The whole effect is one of vast galactic grandeur, color, and beauty. On the stage Moore had a curtain installed which opened and closed like a Japanese screen. Kent decorated it with a golden sunburst and noted that the illuminated image cast from the projection booth would symbolize the light of the moon. Completed in the spring of 1930, the Cape Cinema?s mural is still among the largest in the U.S. and one of only five Kent did in his lifetime. All of Bob's archival limited and very limited editions can be purchased through the Cape Cod Art Association's Curator's Office.